Influencing local municipalities to adopt water wise approaches. Several activities/sub-projects have been undertaken to achieve these objectives. They were done in a phased approach over three separate areas with the support of municipalities and communities. 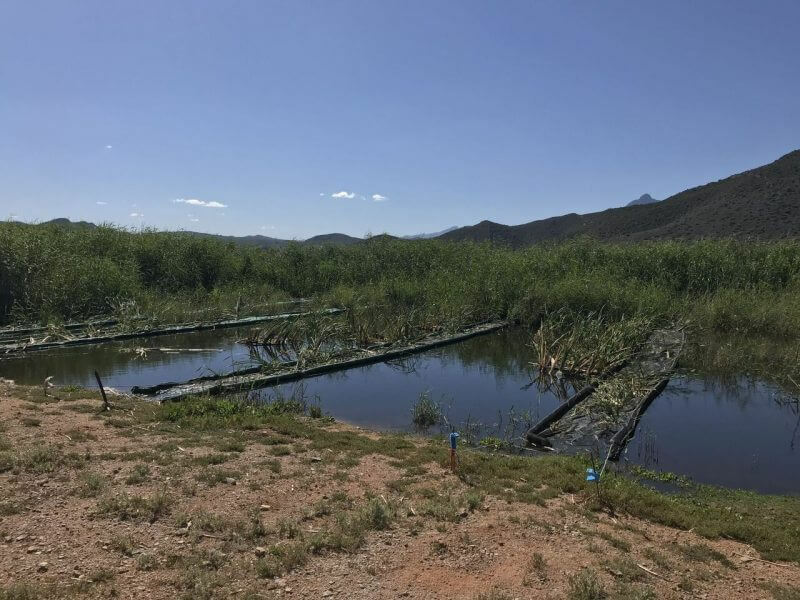 This was a pilot project to demonstrate a constructed wetland system and the concept of wastewater reuse through the scrubbing of municipal sewage water in the De Rust municipal wastewater treatment works. The project has significantly reduced polluted run-off in the natural catchment system and converts wastewater into a resource to grow the green economy. 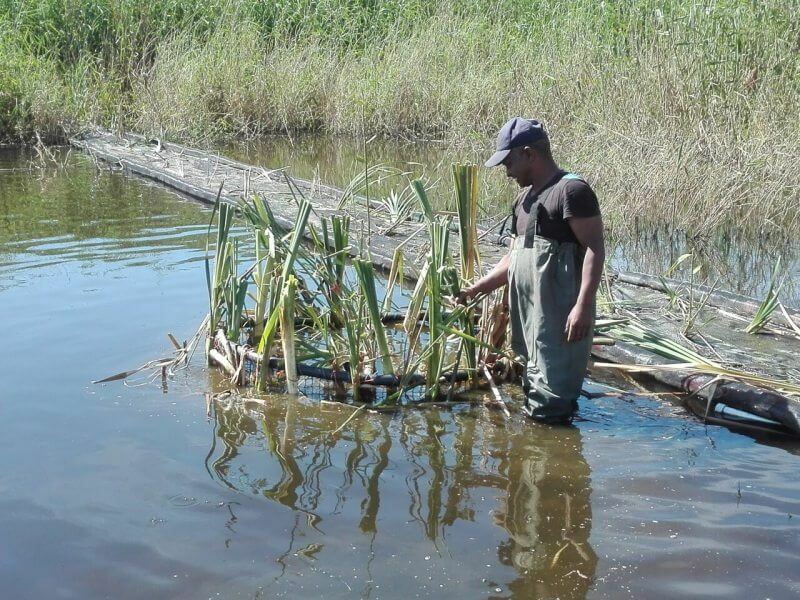 This wetland and its adjoining tree nursery continues to be maintained through the WaterWise Ways (WWW) project, with the Oudtshoorn municipality committed to assisting with the continued testing of the water in the constructed wetland. 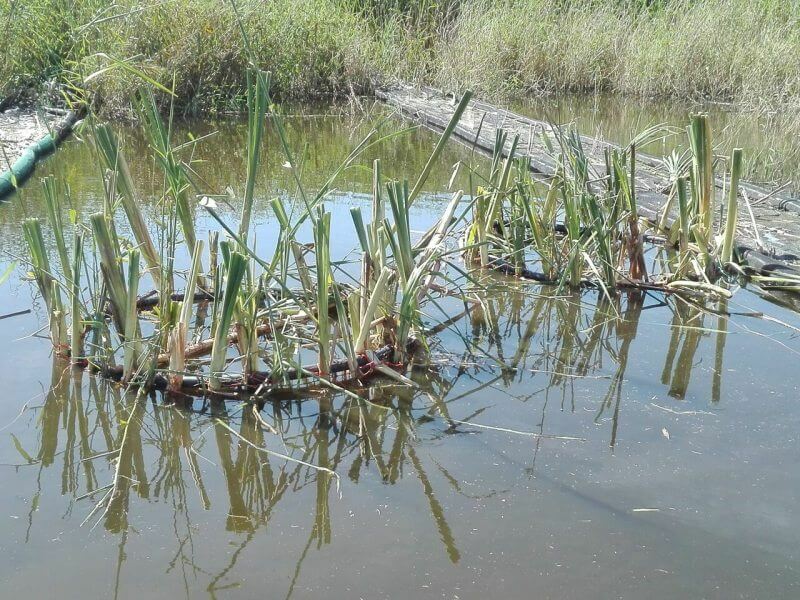 This project was set up in part as a replication of the 2017 pilot in De Rust, by developing a similar artificial wetland system in another municipal wastewater treatment works, to improve downstream river health and purify water for agricultural use. 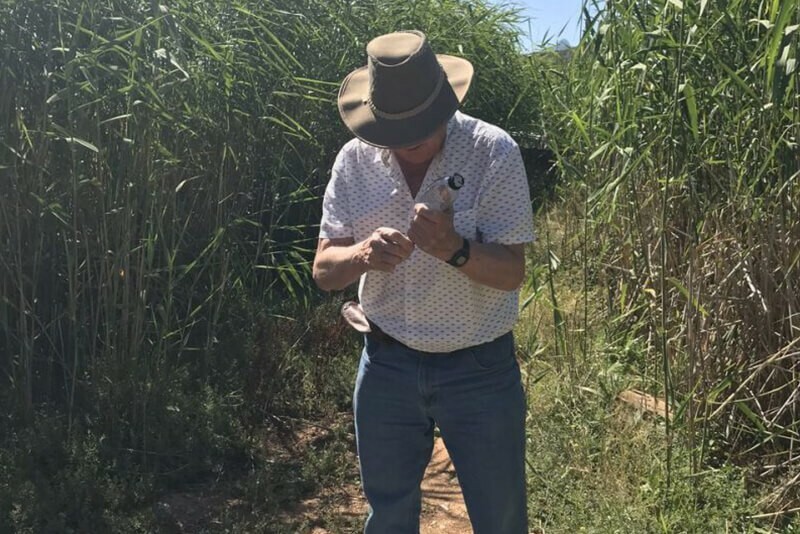 In addition there was the development of a team of ‘water wardens’ to implement household level water savings interventions in Klein Karoo townships. A team of four local inhabitants of De Rust in collaboration with a site leader and project leader was set up to audit indigent households; to assist in facilitating behavioural change workshops; to fix leaks; and to engage with the community on an ongoing basis regarding water issues. In so doing the team established their presence as Water Wardens for the area. The Oudtshoorn Municipality has partnered with the WaterWise Ways (WWW) project by allowing the project airtime on their awareness raising workshops with indigent households who are receiving new “Smart” water meters. The municipality also provides the project with maps to assist in plotting where in the communities leaks will be fixed. 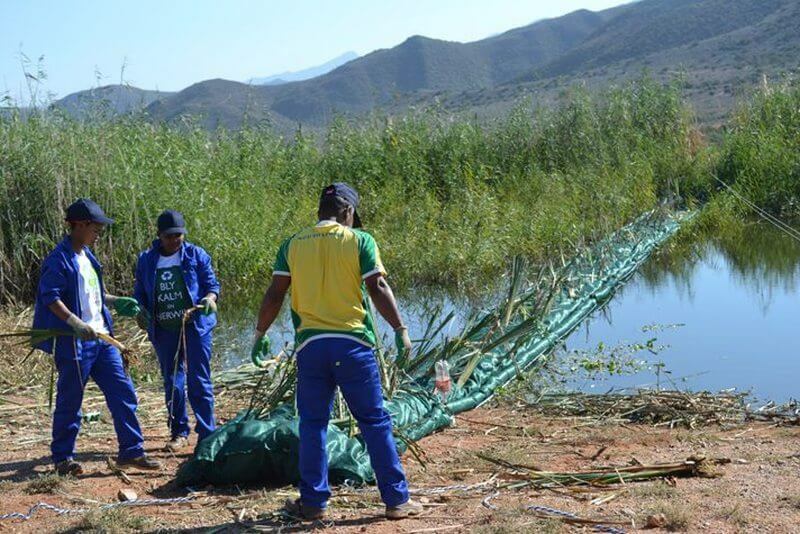 WaterWise Ways is being implemented by Trapsuutjies Projekte, a new social enterprise in Oudtshoorn.